Around 1670 the Dutch scientist Antony van Leeuwenhoek devised a microscope, really a powerful single lens magnifying glass ,which allowed him to observe tiny organisms in water and blood that had never been seen before. He named these organisms “animalcules” or tiny animals. He sent a letter detailing his observations to Robert Hooke, the chief demonstrator at the Royal Society in London, who confirmed them using a compound microscope of his own devising. On September 17, 1683, van Leeuwenhoek wrote to the Royal Society about his observations on the plaque taken from his own teeth, “I then most always saw, with great wonder, that in the said matter there were many very little living animalcules, very prettily a-moving. The biggest sort. . . had a very strong and swift motion, and shot through the water (or spittle) like a pike does through the water. The second sort. . . oft-times spun round like a top. . . and these were far more in number.” Van Leeuwenhoek observed “an unbelievably great company of living animalcules, a-swimming more nimbly than any I had ever seen up to this time. The biggest sort. . . bent their body into curves in going forwards. . . Moreover, the other animalcules were in such enormous numbers, that all the water. . . seemed to be alive.” Of course, the observations of van Leeuwenhoek, Hooke and others, revealing a “New World” of microorganisms, raised many questions as to the lives and functions of these tiny creatures. Some 300 years later the work of Pasteur, Koch and others showed that some microorganisms were responsible for transmissible diseases including tuberculosis, syphilis and malaria. Malaria was, and remains to this day, one of the greatest plagues ever to have afflicted humanity. Although malaria used to be common in most European countries, these days the vast majority of its victims live in poor countries in Africa, South East Asia and South America. The numbers are simply staggering. According to the World Health Organization (WHO), 3.2 billion people remain at risk for malaria. About 88% of the estimated cases and 90% of the deaths occur in sub-Saharan Africa, followed by Southeast Asia (10%), the eastern Mediterranean region (2%) and Central and South America (<1%). Deaths occur mostly in children under the age of five, pregnant women or immunodeficient people. Malaria continues to kill over three times as many people as all the armed conflicts in the world put together. In 2015, there were an estimated 438,000 — 631,000 deaths resulting from malaria, compared with an estimated 167,000 deaths due to armed conflicts. Some 200 million people were actually infected with malaria. And, although there are effective treatments for the disease, things are far from being under control. After a decade of dramatic reductions in malaria mortality, the 2017 World Malaria Report estimated that mortality rates stalled in South East Asia, the Western Pacific and Africa and increased in the Eastern Mediterranean and the Americas between 2015 and 2016. So, as we struggle to find better ways for controlling malaria, the plague is still very much with us –and it always has been. The “animalcule” that causes malaria is a protozoan parasite-a protozoan being a single celled eukaryotic organism. Nowadays, we have a detailed description of the entire life cycle of the malaria parasite and how mosquitoes can act as ‘vectors’ for spreading the disease from one person or animal to another. There are actually several closely related protozoan parasites that can cause the disease. Moreover, there are also different species of mosquitoes that can spread malaria among humans as well as other animals such as birds. However, only different types of female Anopheles mosquitoes can transmit human malaria. 5 species of the protozoan Plasmodium are responsible for malaria in humans – P.vivax, P. falciparum and P. malariae being the most common forms of the disease and P.falicparum, in particular, being responsible for most deaths. Male and female Anopheles mosquitos actually feed on nectar –blood isn’t what they eat. However, it turns out that there are nutrients in human blood, such as protein and iron, that are vital for the female Anopheline mosquito to be able to develop her eggs. This is the reason why she will drink about 3 millionths of a liter of human blood when she bites a human victim. If that victim is already infected with malaria parasites, let us assume it is P. falciparum as an example, then, when she drinks, she will also take up male and female gametocytes that circulate in infected human peripheral blood. Once within the mosquito these gametocytes will develop further into male and female gametes-the sperm and egg cells. The motile male gamete will seek out a female gamete and fertilization results in a motile zygote, also known as an “ookinete”, formed within the lumen of the mosquito’s gut. The ookinete then penetrates the gut wall where it becomes an “oocyst”. This then multiplies forming infectious “sporozoites” that migrate to the salivary glands of a mosquito and are injected when the mosquito bites a victim to obtain her next blood meal. Once the infectious sporozoites have entered the blood of the victim they circulate around the body eventually taking up residence in liver cells where they undergo further multiplication (exoerythrocytic schizogony) producing the next stage of development –the merozoites. Merozoites exit the liver into the blood and they are the species which now infects red blood cells (erythrocytes). Here they multiply further to produce more merozoites which then destroy the erythrocyte and enter the blood once more and infect further erythrocytes. This process continues ad infinitum, until the host’s blood is used up and he dies. During the time in which merozoites are multiplying within red blood cells some of them turn into gametocytes that can be taken up by a mosquito during a blood meal to be transferred to the next victim. And so it goes on. Round and round in a horrible dance of death and destruction reminiscent of the most terrifying scenes of the classic horror movie Alien. “In the district of the city of Loja, diocese of Quito, grows a certain kind of large tree, which has a bark like cinnamon, a little more coarse and very bitter, which, ground to powder is given to those who have a fever, and with only this remedy, it leaves them.” This was the bark of the cinchona tree (Cinchona officinalis) which became known as “Jesuits’ bark”. Indeed, it was the Jesuits, who were extremely influential in Peru at this time, who were really responsible for bringing cinchona bark to the attention of Western medicine and pharmacology and for ultimately transporting it from South America back to Europe. Cinchona bark was extremely bitter and most people in Europe found it almost unpalatable. But the Jesuits realized that by extracting the powdered bark with wines or spirits they could prepare a drink that was easier to take. Really such liquors were the antecedents of the quinine based tonics developed over the subsequent centuries leading to “tonic water”, an essential component for a “Gin and Tonic” and of many other cocktails. As a correspondent wrote in London in 1781, “Take an ounce of the best Jesuits’ bark, Virginian snake root, and orange peel, of each half an ounce; bruise them all together, and infuse for five or six days in a bottle of brandy, Holland gin, or any good spirit; afterwards pour off the clear liquor, and take a wine-glass of it twice or thrice a day”. In Paris in 1820 Pierre-Joseph Pelletier and Joseph Caventou isolated two of the major pharmacologically active substances from cinchona bark-the alkaloids quinine and cinchonine. Soon after Pelletier had isolated quinine, he did something very interesting. He carried out what is known nowadays as a “clinical trial” in which drugs are given to a set of patients under carefully controlled conditions and the results determined to see if the drug is really effective and to what degree. Quinine was given to 19 patients most of whom recovered, results that solidified the reputation of pure quinine as a superior treatment for malaria. Quinine started to be produced throughout Europe and America and companies began to sell it at relatively high prices. 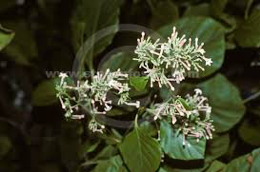 Eventually, the British, and particularly the Dutch, managed to grow cinchona trees in plantations in India and Indonesia so bringing the world quinine trade under their own control. Hence, quinine became the first widely used drug for the successful treatment of malaria. However, the quantities of quinine required to treat all the citizens of the worldwide British empire in the 19th century meant that really a completely synthetic version of the drug or something equivalent was required. The quest to find such drugs really began with the efforts of William Perkin in England who, while attempting to make quinine, actually produced to world’s first synthetic dye which he named “mauve”. In the end, his efforts were to be successful owing to events which subsequently took place in Germany. Here Perkin’s work led to the foundation of several large chemical companies which produced a large number of new synthetic dyes and other chemicals. One of the most important of these was the dye methylene blue, developed by Heinrich Caro at Badische und Anilin Sodafabrik (BASF). Scientists such as the great pharmacologist Paul Ehrlich began to use synthetic dyes to stain biological materials so that details of their structure could be better discerned under a microscope. Generally speaking, it was observed that certain dyes would stain some biological materials but not others, or perhaps selectively stain an organelle in a cell such as the nucleus, allowing a structure to be readily identified. Of particular interest was the finding that certain stains based on methylene blue could pick out malaria Plasmodium parasites inside red blood cells and so became widely used for this purpose, helping to diagnose the disease in victims with malaria like symptoms. From results such as these Paul Ehrlich developed what would become a very influential idea. If dyes could selectively interact with parasites, might they not be able to seek them out and destroy them like “magic bullets”? Ehrlich decided to try treating malaria patients with methylene blue. In 1891 he successfully treated two patients, a domestic servant and a sailor. Buoyed by his success he continued to perform antimalarial trials with methylene blue in collaboration with the Bayer drug company. 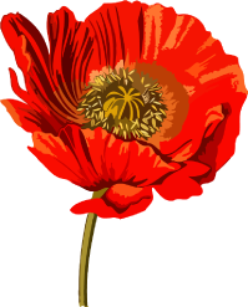 Subsequently several similar dyes, including trypan red, trypan blue and afridol violet were used to treat malaria with some success. Although none of these ultimately proved to be better than quinine, the way forward for producing synthetic antimalarials from dye like chemical structures was now clearly open. Moreover, Ehrlich had created an entirely new way of looking for drugs. Select a particular target and then use chemistry to modify molecules until the “magic bullet” was found. This is still the way that that the pharmaceutical industry carries out its business today. Following their collaboration with Ehrlich, the Bayer drug company continued to produce novel structures that were based on dyes and to test them as antimalarials. In 1925, they developed plasmoquine (also called pamaquine). 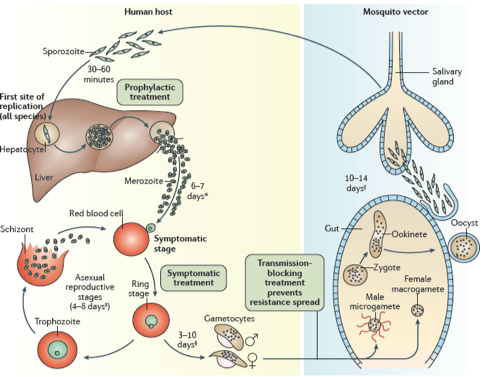 Plasmoquine, an 8-aminoquinoline, proved to be the first compound capable of preventing relapses in Plasmodium vivax associated malaria. In 1932, Bayer developed mepacrine (atebrine) which was effective against Plasmodium falciparum malaria. In 1934, H. Andersag, who was also working at Bayer, developed a new drug candidate named resochin. Unfortunately, the company deemed it to be too toxic and didn’t develop it further. Eventually, however, through a long and convoluted path, the drug found its way to the US where its great potential was realized and it was further developed, eventually reaching the market under the name chloroquine. Chloroquine proved to be a breakthrough drug being much more effective than any synthetic drug produced previously. It was used throughout the world to treat many forms of malaria and also as a prophylactic measure. In some areas it was even added to cooking salt to ensure everybody took it consistently. At the same time many other antimalarial drugs were developed. Some of these such as mefloquine were chemically similar to chloroquine but others, such as pyrimethamine were chemically distinct. Chloroquine was used to great effect for several decades as part of an international campaign to eliminate malaria from the time of the Second World War into the 1960’s and great strides were made. However, it was eventually observed that in several parts of the world the drug was becoming less effective and ultimately hardly effective at all. Malaria began to make a comeback. This was due to the development of drug resistant forms of malaria. A new approach was needed and, fortunately, one was on the way. say that with the chaos of the Cultural Revolution swirling around her, Tu had enough scientific insight and perseverance to mine the annals of ancient Chinese medicine and identify the antimalarial effects of the sweet wormwood and then to isolate its active component ,the drug artemisinin. 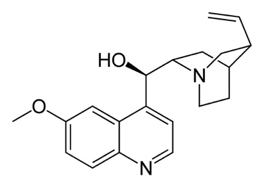 Artemisinin and its derivatives can be used in cases of chloroquine resistant malaria, although nowadays atremisinins are usually used in combination with other drugs to reduce the development of artemisinin resistance, which has shown signs of becoming an emerging problem. Indeed, newer drugs with novel mechanisms of action are desperately needed to combat malaria and other protozoan based diseases. These days , developments in the fields of molecular biology mean that we should be able to rationally design new drugs rather than just waiting for Nature to provide us with something. Our burgeoning knowledge of the genetic makeup of malaria parasites should to provide us with novel targets for producing drugs that have completely unique mechanisms of action. One key piece of information that will certainly help in this endeavor is the recent successful sequencing of the entire P.falciparum genome. The organism has 5380 genes. A recent study was designed to determine which of these genes are “essential” for the parasite to successfully colonize and replicate in red blood cells. The result was that around half of them were found to be important because interfering with their function using genetic procedures compromised the parasite’s life cycle. This information suggests that some of these genes might be useful targets for drug development through rational medicinal chemical attack. For example, it has been shown that P.falciparum and several other protozoan parasites, including Trypanosoma brucei, which causes sleeping sickness and Leishmania donovani, which causes leishmania, use a certain type of enzyme to regulate many key events in their normal life cycle. The enzymatic activity in question is known as N-myristoylation, in which a myristoyl group, derived from the 14 carbon myristic acid, is covalently attached by an amide bond to the ɑ-amino group of an N-terminal glycine residue of a protein as it is synthesized on the ribosome. The chemical modification of proteins by lipids and other molecules is a widely used strategy by which cells can modify the functions of particular protein products. Many protozoan proteins are modified in this way including many that are modified by covalent attachment of lipids such as myristic or palmitic acid. There a several reasons for this, but one of the most important is that lipid modification allows the protein to be targeted to biological membranes. These are made up of bilayers of phospholipids, and the myristic acid can insert itself into these structures. This may help target proteins to particular cellular subcompartments where they can carry out specific tasks. P.falciparum expresses a single enzyme called N-myristoyltransferase (PfNMT) which has been shown to be important for successful reproduction of the organism, thereby making it a good potential target for a drug. Humans have two versions of this enzyme (HsNMT1 and HsNMT2). Because the net effect of inhibiting these is unclear, a potential drug for blocking PfNMT should have potent effects on the protozoan enzyme and as little activity as possible against the human versions. In order to achieve this aim researchers at Imperial College in London and other laboratories (Bell et al 2012) have proceeded in precisely the way pioneered by Paul Ehrlich in his original development of antimalarial drugs. They have used NMTs from different protozoa, including P.falciparum as their targets, together with gradual chemical modification of potential inhibitors, to produce a series of magic bullets that show potent and selective inhibition of protozoan NMTs. Although such compounds have not yet been tested in humans they are promising leads for producing new types of antimalarial drugs. However, as often happens in science, the researchers also realized that there might be another possible application for their work. Let’s face it, although malaria is a horribly dangerous disease, there are at least some drugs available for dealing with it. Not so, however, for the common cold, which afflicts billions of people throughout the world. No known drugs target the cause of the common cold and we are just left treating its symptoms as best we can. Moreover, although for most of us, catching a cold might just mean several days of misery, for some people it is much more dangerous. For people who suffer from conditions such as asthma, chronic obstructive pulmonary disorder (COPD) or cystic fibrosis, the common cold can be an extremely serious problem. The common cold is caused by a family of viruses called rhinoviruses with hundreds of variants, making it nearly impossible to become immune to or vaccinate against all of them. On top of that, the viruses evolve rapidly, meaning they can quickly gain resistance to drugs. It turns out the infection of human cells by rhinoviruses is dependent on HsNMTs which are hijacked by the viruses enabling them to enter human cells and replicate within them. For example, proteins that form the viral capsid (the outer shell of the virus) are among proteins that are N-myristroylated by HsNMTs and this is required for formation of the virus as it develops in infected human cells. One implication is that drugs that block HsNMTs might block rhinovirus infection. In a recent paper, Mousnier et al (2018) demonstrated the results of such an approach. While examining the effects of potential inhibitors of PfNMT, Mousnier et al observed that if they combined two of these molecules together they produced an activity that inhibited HsNMT activity. Using these results as a starting point they developed a series of compounds that were extremely potent inhibitors of HsNMTs. Indeed, the lead compound (IMP-1088) seems to be active in picomolar concentrations, which is extremely low indeed. When rhinovirus infection of human cells in culture was examined, it was observed that IMP-1088 blocked viral protein N-myristoylation and the ability of the virus to successfully replicate and kill cells. These results suggest that substances like IMP-1088 might be a novel treatment for rhinovirus infection. Of course, because these substances inhibit HsNMTs ,there remains the question as to how they might affect humans because such actions might be associated with problematic side effects. However, initial biochemical studies indicate that effects on viruses may be much more rapid than those on humans. The idea is that if the drugs are given early in the infection process and for brief periods of time, their actions may be quite selective. Overall, these results can be viewed as extremely promising and might, for the very first time, lead to a disease modifying treatment of the common cold. Furthermore,they also illustrate the fact that with basic scientific research may often lead to important and unanticipated therapeutic results.